Deciding what to watch next? Discover, organize and track over 250,000 movies. Tons of websites offer recommendations but fail to provide good ones. Instead of picking movies for you, we make it super easy to discover great stuff yourself. There's a better way to discover. We’ve collected movie data from around the web so you don’t have to. Just tell us what kind of movies you’re looking for and we’ll give you the best there are. Switching to Movieo is easy. Already tracking movies someplace else? Just transfer them with our import tool and you’ll be all set. And don’t worry, there’s one click export too. Tell us what kind of movies you’re looking for. Take advantage of our comprehensive filtering system to find exatcly what you need. For example, browse 80’s Sci-Fi with runtime under 2 hours, or see what’s available on Netflix. 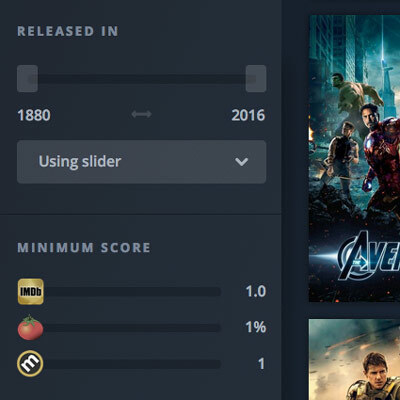 We’ll automatically sort the results by a mix of score and popularity from IMDb, Rotten Tomatoes, or Metacritic. Organize to surround yourself with fresh ideas. With Movieo you can track movies by adding them to your Watchlist, Seenlist and all that jazz — but that’s not the best part. What makes it great is the ability to hide all movies you watched or aren’t interested in. This allows you to surround yourself with great movies you’ve never seen before, saving you time and making your discovery experience even more exciting. Love creating lists? You’re in the right place. 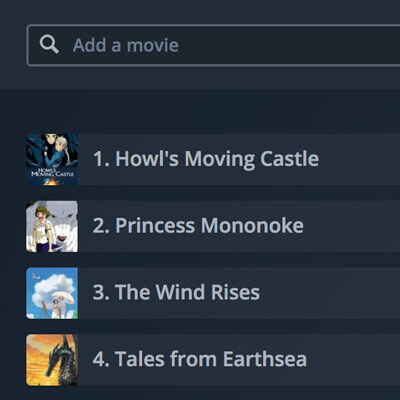 Movieo helps you build rich beautiful lists easily. 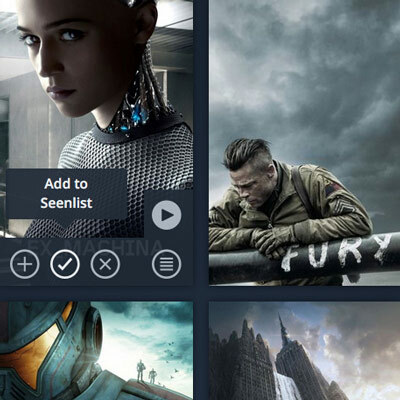 With our simple, snappy interface you can create and share large movie collections in minutes. You can attach notes to titles in the list which makes it great for recommending movies to your friends. A list can also be published which makes it go live for the whole world to admire. Simple, free and made with love. Movieo started out as a passion project and it’s funded entirely by it’s creators, there’s only two of us working on it full-time. It’s also completely free! Please consider supporting us if you like what we’re doing.